We all customize our computers and devices to reflect our personal preferences. 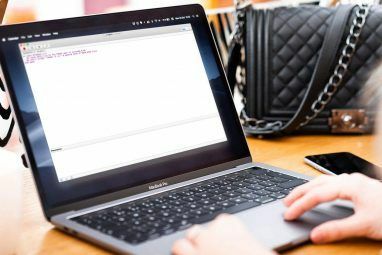 On your Mac, you can even customize the desktop Top 7 Ways to Personalize Your Mac Desktop Top 7 Ways to Personalize Your Mac Desktop Want to make your Mac more personal? 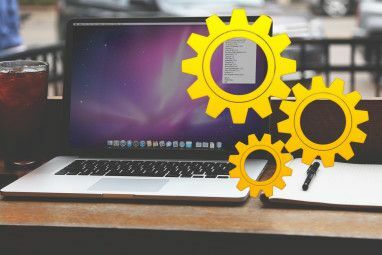 Check out these awesome methods for customizing your Mac theme and more. Read More and the login screen. The default login screen setup is pretty basic, but you can add features and functionality to it. Maybe you want to enter both your name and login password 4 Ways To Reset Your OS X Account Password 4 Ways To Reset Your OS X Account Password Let me guess: You forgot your OS X login password. Don't panic! There are four different ways to regain access so one is bound to work for you. Read More when you log in (instead of just your password) for additional security. You can also add a password hint and a message to the login screen. By default, you can switch users on the login screen, but you can’t sleep Sleep Mode vs. Hibernate Mode: Which Power-Saving Mode Should You Use? Sleep Mode vs. Hibernate Mode: Which Power-Saving Mode Should You Use? What exactly does Sleep mode do? How is it different from Hibernate mode, which is an extra option on Windows computers? Which should you choose, and are there downsides to using them? Read More , restart, or shut down your Mac. Today we’ll look at how to add these features and more to your login screen. Most of the login screen settings are hidden in a not-so-obvious place in System Preferences. Go to Apple > System Preferences and click Users & Groups. Before making changes to the login screen, you must unlock the Users & Groups preferences. Click the lock in the lower-left corner of the dialog box and enter your password when prompted (you’ll need an account with admin privileges). Click Login Options at the bottom of the left pane. On the right, select the options you want to use on the login screen. When you’re done making your selections, click the lock icon again to prevent further changes. All the Login Options become grayed out except for the Show fast user switching menu as dropdown list. You can change how that displays without unlocking the options. The following seven sections discuss each of the Login Options in more detail. If you don’t want to enter your login credentials every time you boot your Mac, you can choose to automatically log in to your account How To Make Your Mac Start Up Faster How To Make Your Mac Start Up Faster Is your Mac taking forever to boot? Here's how to speed it up. Read More . If you’re going to be using your Mac in less secure locations, you should not turn on this option. On the Users & Groups screen, select a user from the Automatic login dropdown list and enter that user’s password when prompted. The next time that user logs in, the login screen will be bypassed and the system will go directly to the desktop. The Display login window as option allows you to display the login as either a List of users or Name and Password. The default option, List of users, displays every user’s icon on the login screen. Simply click the icon for the user you want and then enter the password for that user. The Name and Password option displays two blank fields, Name and Enter Password, and both are required to log in. This is a bit more secure than the List of users option because you need both the name and the password to log in. By default, the Sleep, Start, and Shut Down buttons are not available on the login screen. You must log in to perform one of these actions. However, enabling the Show the Sleep, Restart, and Shut Down buttons option adds these buttons to the bottom of the login screen. If you regularly switch between languages or keyboard formats, you can enable the Show Input menu in login window option to add the Input menu (a keyboard icon) to the upper-right corner of the login window. This allows you to change the language or the keyboard before logging in. If you tend to forget your password 7 Ways To Make Up Passwords That Are Both Secure & Memorable 7 Ways To Make Up Passwords That Are Both Secure & Memorable Having a different password for each service is a must in today's online world, but there's a terrible weakness to randomly generated passwords: it's impossible to remember them all. But how can you possibly remember... Read More , you can turn on Show password hints on the Users & Groups Login Options screen in the System Preferences. To enter the text for your password hint, go to Apple > System Preferences and click Users & Groups. Make sure the user for which you want to add a password hint is selected on the left. Next, click Change Password on the right. You must enter an Old password, a New password, and then Verify the new password. However, you don’t have to change your password. You can enter your current password as both the old and new passwords. Enter a hint in the Password hint box that will remind you what your password is. Then, click Change Password. After you enter the password incorrectly three times, the Password Hint automatically displays. You can also click the question mark icon in the Enter Password field to display the Password Hint, whether you’re displaying the login window as a List of users (below) or Name and Password (above). 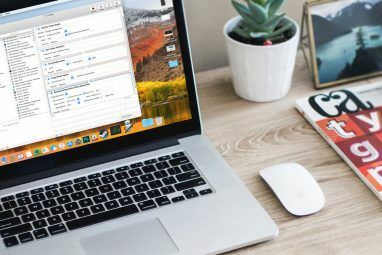 The fast user switching menu How to Set Up Multiple User Accounts on Your Mac How to Set Up Multiple User Accounts on Your Mac How do user accounts work on a Mac? Can users read and edit each other's files? What happens when you delete a user account? Read More is not shown on the login screen, but it relates to it. All user accounts on the Mac are listed in the fast user switching menu, allowing you to quickly switch to another user without logging out of the current one. You can also access the Login Window from the fast user switching menu and the Users & Groups Preferences. Enabling the Show fast user switching menu as option on the Users & Groups Login Options screen in the System Preferences, adds the menu to the right side of the menu bar. If you’ve chosen to display the login window as a List of users, you’ll see an orange circle with a check mark next to any user who is currently logged in. VoiceOver is the advanced screen-reading technology VoiceOver Makes Apple Devices More Accessible Than Ever VoiceOver Makes Apple Devices More Accessible Than Ever President of the American Foundation of the Blind reckons that "Apple has done more for accessibility than any other company to date," — and VoiceOver played a big part in that. Read More built into macOS Sierra. It enables visually disabled users to control their Mac using primarily a keyboard, refreshable braille display, or trackpad. A dark rectangular outline appears as the VoiceOver cursor. Use this cursor to move around the screen, select controls, and to read and edit text. If you enable the Use VoiceOver in the login window option on the Users & Groups Login Options screen in the System Preferences, you can use VoiceOver commands to navigate and interact with items on the screen. You can add a custom message to the login screen. Maybe you want to add your contact information, so any hopefully honest person who finds your Mac can get in touch with you to return it. Probably a rare occurrence, but one can always hope. Go to Apple > System Preferences and click Security & Privacy. To add a message to the login screen, you must unlock the option. Click the lock in the lower-left corner of the dialog box and then enter the password when prompted. First, make sure the General screen is active. Check the Show a message when the screen is locked box and then click Set Lock Message. Enter the message you want to display on the login screen on the popup dialog box and click OK. When you lock your screen or the next time you boot your Mac, you’ll see your message at the bottom of the login screen above the Sleep, Restart, and Shut Down buttons (if you’ve chosen to display those buttons). 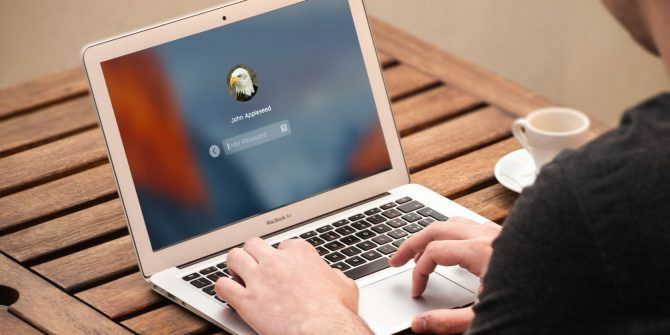 If you’re displaying the login window as a List of users, the user profile picture Top 7 Ways to Personalize Your Mac Desktop Top 7 Ways to Personalize Your Mac Desktop Want to make your Mac more personal? Check out these awesome methods for customizing your Mac theme and more. Read More displays above your name. To change that picture, go to Apple > System Preferences and then click Users & Groups. Make sure the user for which you want to change the profile picture is selected on the left. Next, move your mouse over the user profile picture and click edit when the word appears on the picture. On the popup dialog box that displays, click Defaults to select a picture from Apple’s default set or click Photos to select a picture from your Photos library. Then, click the picture you want on the right and click Save. To see the profile picture on the login screen, click Login Options and make sure List of users is selected next to Display login window as. If you can’t change the option because it’s grayed out, click the lock at the bottom and enter your password to unlock the options. You’ll see your newly selected profile picture on the login screen above your name. Experiment with these options and discover what you like on your own login screen. What do you have on your Mac’s login screen? Have you experimented with any other ways to customize your login screen? Share your customizations with us in the comments. Explore more about: Mac Tricks, macOS Sierra, User Account Control. Yesterday, while I was at work, my cousin stole my iPad and tested to see if it can survive a thirty foot drop, just so she can be a youtube sensation. My apple ipad is now broken and she has 83 views. I know this is totally off topic but I had to share it with someone! It's an remarkable post in support of all the online viewers; they will take benefit from it I am sure. Thanks for finally talking about >How to Customize the Login Screen on Your Mac <Loved it! Generally I don't learn article on blogs, however I wish to say that this write-up very forced me to check out and do it! Your writing style has been surprised me. Thank you, very nice article. It's actually a cool and useful piece of info. I am happy that you just shared this helpful information with us. Please keep us informed like this. Thank you for sharing. Hello, i feel that i saw you visited my web site thus i came to go back the want?.I am attempting to find issues to enhance my website!I guess its good enough to use a few of your concepts!! This piece of writing will help the internet people for creating new blog or even a blog from start to end. Thanks for finally writing about >How to Customize the Login Screen on Your Mac <Loved it! Howdy! I understand this is sort of off-topic but I had to ask. Does managing a well-established website like yours take a lot of work? I am brand new to operating a blog but I do write in my journal daily. I'd like to start a blog so I can easily share my personal experience and thoughts online. Please let me know if you have any kind of recommendations or tips for new aspiring bloggers. Appreciate it! Hello to all, the contents present at this site are genuinely awesome for people knowledge, well, keep up the nice work fellows. Good write-up. I certainly love this site. Stick with it! Really no matter if someone doesn't know afterward its up to other users that they will assist, so here it takes place. I'm gone to tell my little brother, that he should also pay a visit this weblog on regular basis to take updated from most recent news update. You could definitely see your skills within the work you write. The world hopes for even more passionate writers like you who are not afraid to mention how they believe. At all times follow your heart. Hey there! Quick question that's entirely off topic. Do you know how to make your site mobile friendly? My weblog looks weird when browsing from my iphone4. I'm trying to find a template or plugin that might be able to fix this issue. If you have any suggestions, please share. Thank you! Lori Kaufman is a freelance technical writer living in the Sacramento, CA area. She's a gadget and tech geek who loves to write how-to articles about a wide range of topics. Lori also loves reading mysteries, cross stitching, musical theatre, and Doctor Who. Connect with Lori on LinkedIn.